Traversing around the historic Galle Fort in Sri Lanka? And you happen to be a boat lover on top of it all? Then do make sure to pay a call to the National Maritime Archaeology Museum while you are there! The Maritime Museum is housed inside a 1671 Dutch warehouse and showcases a collection of ancient maps, artillery and other knick-knacks found aboard shipwrecks. A series of boat models are on display among other things. The building was affected during the Tsunami which hit the island in 2004 but has since been restored to its full glory with the aid of Netherlands. If you love taking in detailed models of ships and fascinating objects which have been preserved over centuries, then heading to the conservatory will be well worth the effort; as it is well maintained and informative. You can see Chinese ceramics, interesting relics, and depiction of real people while here. 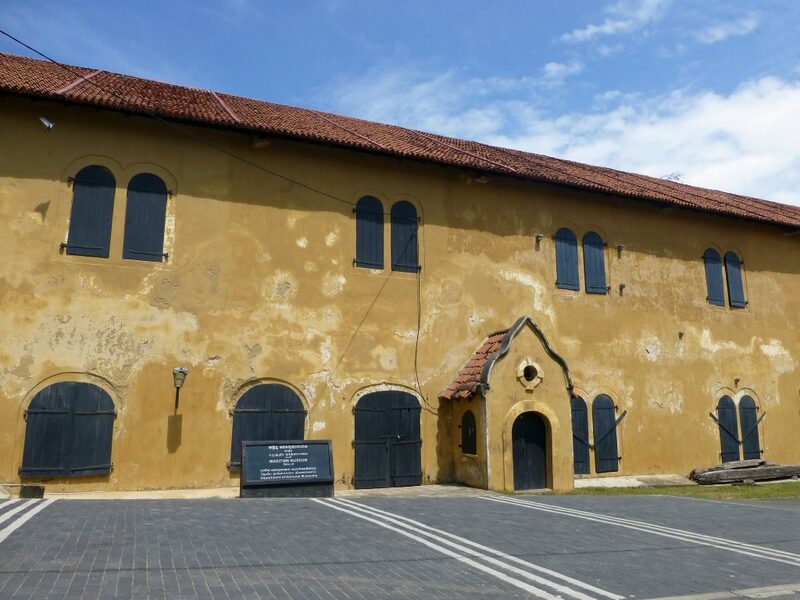 The museum is located on the Queen Street inside the Galle Fort opposite Dutch Church. Interested parties can easily reach the fort via tuk-tuks or public bus. It also can be easily accessed from many a Galle hotel located in the vicinity such as Cantaloupe Aqua. The museum is open to the public daily from 8.30 AM to 4.30 PM. The entrance fee for locals is LKR 50 while the rates for foreign nationals are a tad bit higher but reasonable.